For as long as you could remember, your mother has always been the one who’s handled your birthday parties for you, organizing everything from the birthday invitations to food. Wouldn’t it be nice if you could repay her for those years of making you happy on your special day? So why not throw her the best birthday party she will ever remember? For those who don’t have a clue where to start, I suggest knowing what she likes and dislikes before planning the ultimate birthday party for mom. By doing so, you should be able to come up with stuff and things that will make her a day a blast. You can also make sure that she will enjoy the celebration you have for her. Here is a list of cool birthday ideas you can do for her for her special occasion. 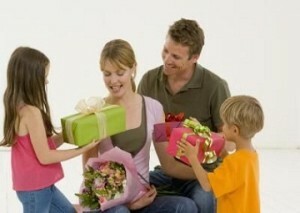 Throwing your mom a well-organized and well-planned birthday party is the most important part of your gift to her. First, make a list of her closest friends and invite them a few months in advance. You can devise certain ways to figure out who’s coming and who’s not, such as following up through phone or e-mail. Next, once you have a sure number of guests who are coming, then take care of the venue and the food for the party. If you know how to cook or you’re a budget, you can also opt for your home as your party venue. We recommend choosing five appetizers and two main courses to put on your menu. If you have a large gathering, choose a buffet. If you’re having an intimate affair, opt for a sit down party instead. A unique theme will also make mom’s birthday party different. If she’s into flowers, you can organize a flower-themed birthday party with flowers as your decorations. If she’s into tea, you can have a tea party with food that is delicious when paired with tea. Whatever theme you choose, just remember that it must suit your mom’s taste and lifestyle. A surprise birthday party for her can be included to your option as well. This is another important part of your birthday planning. You can think up of various gifts for her. Like her birthday party theme, her birthday gift must also reflect how well you know her. If she’s into spas, you can get her a spa certificate at her favorite spa or a spa she hasn’t tried yet. This is also perfect for moms who need the rest and relaxation after a hard day’s work. Another birthday gift you can consider is jewelry. Take not of what pieces and material she likes to wear. If you’re not so sure, stick with a jewelry piece that is elegant and classy. We recommend this gift for those whose moms are a little traditional, because jewelry is a classic gift for women of all ages. If you have a limited budget for jewelry, you can choose a beautiful pair of pearl earrings or a pendant which brings out her features. For those who are also on a budget, you can give her a gift basket filled with her favorite bath products such as lotions and gels. You can also include her favorite magazine, book, DVDs, tickets to the cinema or opera, and other things you think she’s fond of. Of course, if you have a little extra to splurge, then by all means give her a beautiful bouquet of fresh flowers and a card with happy birthday wishes to accompany your gift! Whatever gift you choose to give to her and whatever party you plan to hold for her, remember that this is your chance to show her how much you love and appreciate her. Make her proud!